Each year I vow to get more organized, yet still I seem to find myself scrambling to get everything done, including making those special handmade gifts. If this sounds like you, good news. I have some Christmas inspiration for you. 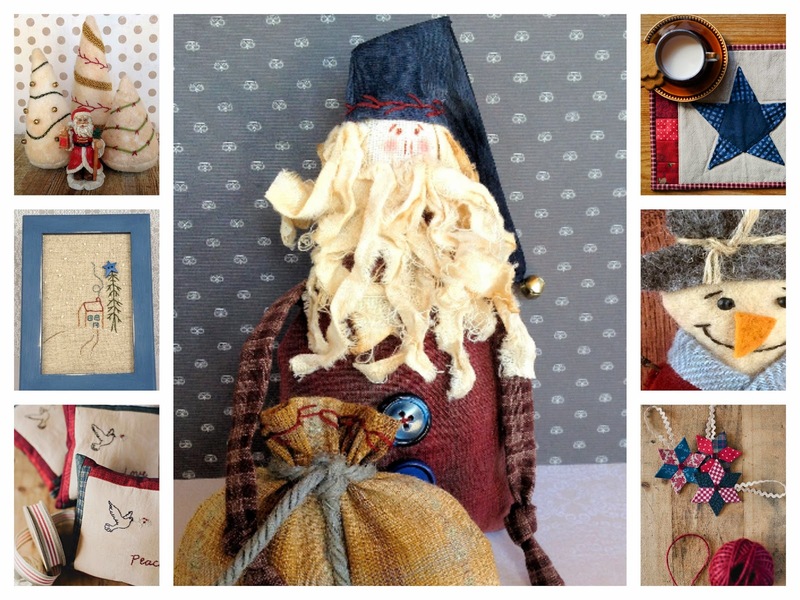 Here is a new collection of Christmas patterns just uploaded to the Stitching Cow website. These patterns have all be featured in Kindred Stitches Magazine, but are now available for non digital users to enjoy as well. They can be purchased as PDF downloadable patterns so you could be sewing them within minutes, how exciting! There's something for everyone one, and many of them are inexpensive, quick and easy to make, perfect for Christmas swaps and school teacher gift giving. Hope you find some Christmas projects to enjoy, have fun! I really want to start the Christmas Sewing but, I don't know much about stitching and sewing so, I am going to take the classes of sewing. I hope that i will get learn it soon.